Omri Rachum-Twaig is our latest Routledge Featured Author. 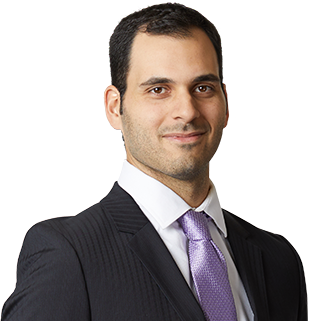 Read our interview to discover more about his recent book, Copyright Law and Derivative Works. "Harnessing creativity studies and genre theory to revisit normative approaches such as economic analysis, Lockean labor theory and Kantian corrective justice, and attempting to redesign current legal doctrines in this light, is not commonly used in legal literature." Congratulations on the publication of your book Copyright Law and Derivative Works. What do you want your audience to take away from the book? Tell us an unusual fact about yourself and your teaching or writing style? The most important point I want my audience to take away from the book is that copyright law should be more informed of non-legal creativity studies, and that copyright scholars and courts should revisit the justifications to basic copyright doctrines, such as the derivative works right, in this light. My background as a musician was key in my motivation for this research. As a musician, studying copyright law early in my law studies surprised me. The concept of not being able to use prior works to develop one’s creative aspiration seemed very odd from a musician’s perspective. On a practical level, I encountered several difficulties in promoting a translation project in which I translated various works of Leonard Cohen to Hebrew. Obtaining a license from the publisher of the original songs was a very lengthy process which reflected how copyright law doctrines often hinder creativity. These non-legal motivations led me to look at the intersection between copyright law and creativity, and focus on the derivative works right as a main case study. I believe that the main contribution and uniqueness of this book is in its methodology. Many books on law, and copyright law specifically, often focus either on legal doctrine or legal theory. Some also focus on empirical studies that attempt to connect the legal doctrine to behavioural phenomena. But this book attempts to tie together non-legal studies, legal theory and normative consideration, and doctrine. Harnessing creativity studies and genre theory to revisit normative approaches such as economic analysis, Lockean labor theory and Kantian corrective justice, and attempting to redesign current legal doctrines in this light, is not commonly used in legal literature. Although this is an ambitious attempt, I believe that aside from the conclusions I suggest with respect to copyright law and derivative works, this book could contribute to the development of “mixed” methodologies that do not limit themselves to one specific field. After finishing my music studies at the Buchmann-Mehta School of Music at Tel Aviv University, I began studying for my LLB in the Buchman Faculty of Law at Tel Aviv University. After graduating, I continued to a fast-track PhD program during which I was also a visiting researcher at the UC Berkeley School of Law. I am now an adjunct professor at Tel Aviv University and a research fellow at the Hebrew University of Jerusalem Center for Cyber Research. Before starting my legal career, I was a performing musician. I played percussion in various leading orchestras and performed worldwide with my duo. My experience in performing arts deeply affected both my research and teaching. I attempt to remain as updated as possible in the non-legal fields my research and teaching are linked to, which includes new technologies, music and the arts in general. I attempt to provoke my students to do the same and significant portions of my classes are dedicated to discussing new developments both in law and in real-life. My current research focuses on artificial intelligence and robots. Although this is quite a departure from copyright law, I hope to be able to link this new research to my notions from reading literature on creativity studies. The creative process has a lot to tell us on how we accomplish tasks, especially when these tasks or problems are ill-defined. This is closely linked to the field of Artificial Intelligence and specifically to Machine-Learning methods. 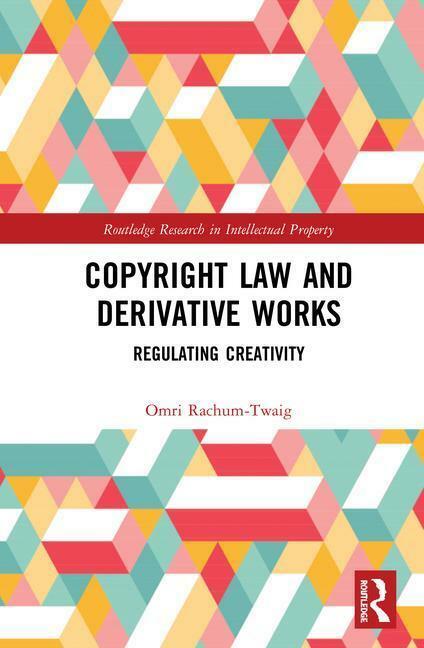 Click on the image below to access a free chapter of Omri Rachum-Twaig's recent book, Copyright Law and Derivative Works.